Posted in Procedures	| Tagged airway, RSI, Simulation	| Enter your password to view comments. Prehospital intubation has been (arguably!) the most important skill the addition of doctors to the Auckland Westpac Rescue Helicopter has brought to helicopter prehospital care in our region. While the paramedics in our team are highly skilled and very experienced, none of them are currently RSI qualified. St John Ambulance (the ambulance service provider for most of New Zealand, including Auckland) does have RSI-qualified paramedics, some of whom have worked on the helicopter in past years, but currently the helicopter team cannot perform an RSI without a doctor present. Intubations can be performed by paramedics without drugs however in certain circumstances, usually in cardiac arrest or severely obtunded patients. With the addition of doctors, we have had a heavy training focus on RSI, including introducing an RSI checklist and actively involving the crewman in the RSI procedure. 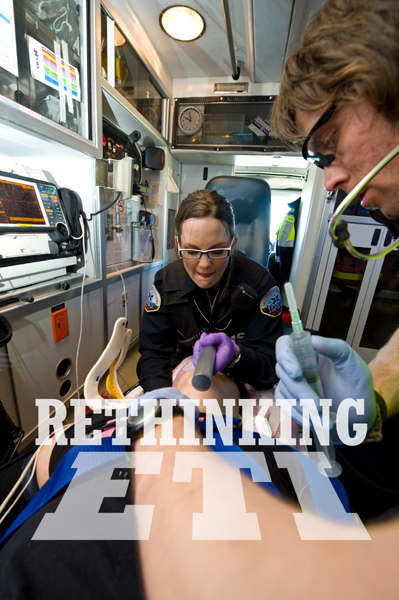 This paper, from Prehospital and Emergency Care in 2007, provides an interesting insight into the cognitive processes around prehospital intubation, and the implications for training. Rules-based processing – when an action or series of actions is executed in response to a certain situation, for example ‘if the patient has no pulse – start CPR’. Rules based processing requires explicit knowledge, and can become difficult if the cues for a certain action are unclear. Knowledge-based processing – a process that can be applied when rules-based processing fails or is not appropriate. For example, in the setting of cardiac arrest – rules-based processing instructs CPR to begin, knowledge-based processing might allow a decision like “the down-time is over 30 minutes, CPR is inappropriate’. These three elements are highly inter-related – frequently used knowledge-based and rules-based process may, with experience, become skills-based processes. Amongst other conclusions (including the need for developing pre-defined “action rules” for common clinical scenarios; developing training that places intubation in the wider context of airway management; and further examining the cognitive processes around paramedic intubation), the authors also ask whether intubation is too cognitively difficult for a paramedic in the prehospital environment, and whether less complex devices would be more appropriate. So how does this relate to our service? Given our three clinician model (doctor, paramedic, medically-trained crewman), plus often other ambulance staff, it would be (hopefully!) difficult to argue that a pre-hospital RSI is too cognitively difficult for us. Thinking about an RSI in terms of skills-based/rules-based/knowledge-based processes is useful however. The most common way we practise RSI is currently some sort of ‘RSI drill’, involving a team of three. 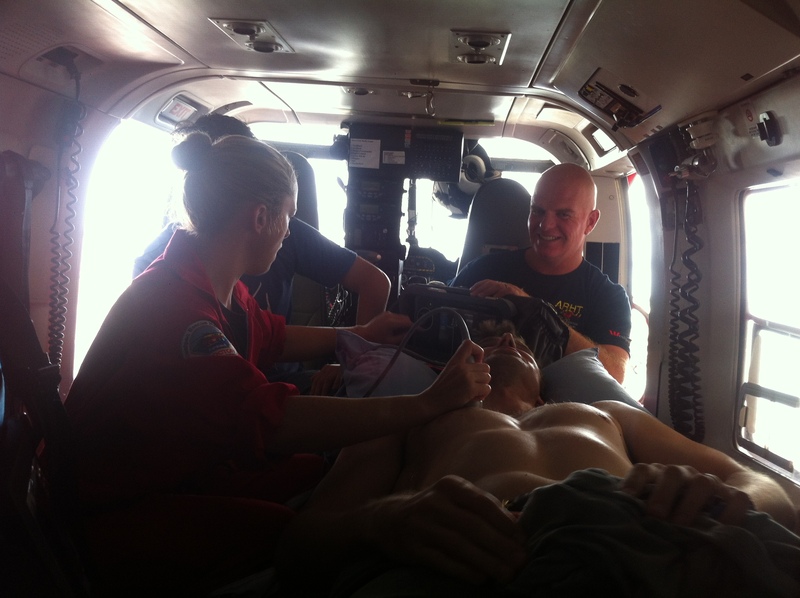 It includes running through our checklist, following by executing the RSI procedure as a simulation. This most closely represents a skills-based procedure. Individual elements of the sequence (laryngoscopy, passing a tube over the bougie etc) also represent skills-based processes. With our simulation lab now up and running (plus 3 new mannequins) we have the opportunity to practise skills-based elements of RSI as often as we wish. Based on collective experience however (both from clinical practice and training) the most difficult elements of RSI are likely to be the knowledge-based processes – whether an RSI is indicated in certain situations, whether modifications to a standard RSI are required (for example DSI or neuroprotective RSI), and contingencies in the event of difficulties or failure. Given a distinct lack of evidence in many of these areas decisions rely heavily on clinician judgement and experience. For me, the most important thing to come out of reading the paper above was the idea that we can and should be generating specific rules-based processes tailored to the clinical scenario we are dealing with. In the setting of an RSI, this is crucial for when things are not going to plan. The NAP4 audit of airway failures from the UK found that one of the main contributing factors to ED airway failures was ‘a failure to plan for failure’. 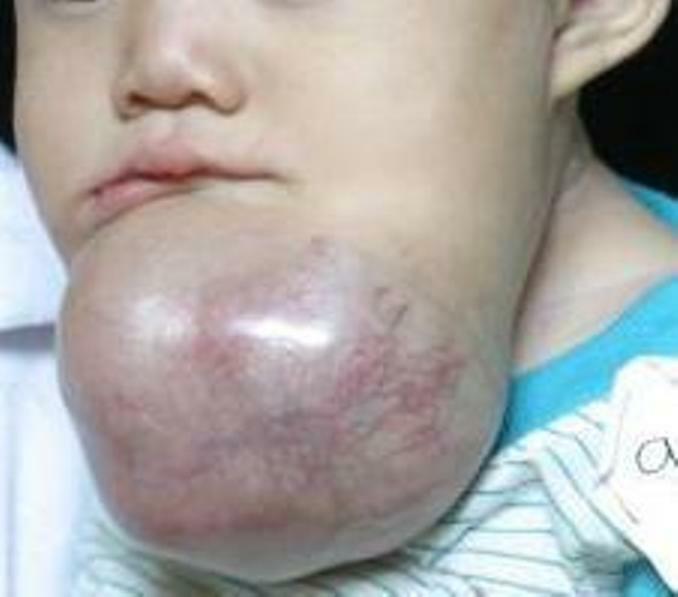 What ‘rules’ would you generate for intubating this child? 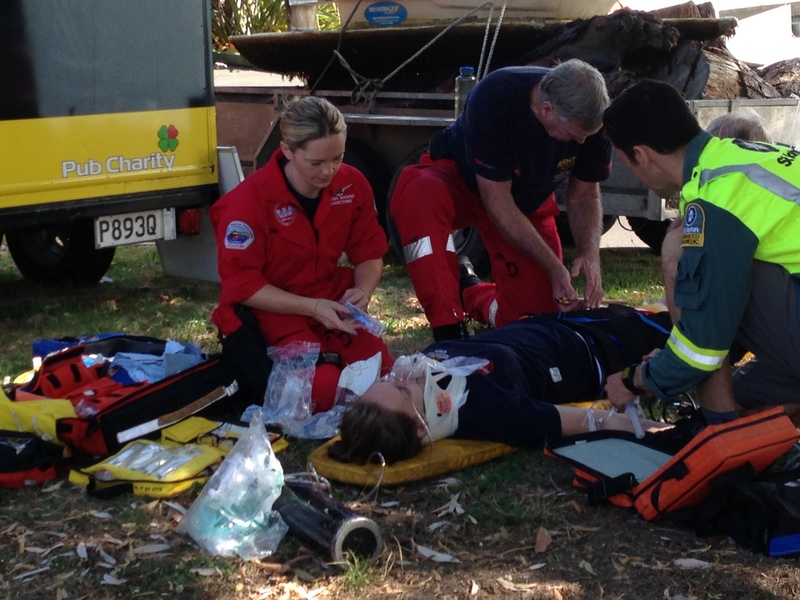 This week we ran an in-situ simulation with our duty crew (crewman, paramedic and doctor). We had great participation in a challenging scenario of massive hemorrhage in a blunt trauma patient. As our simulation experience continues to grow we are always trialling new things. This past week we integrated several techniques that helped enhance the scenarios fidelity. The scenario was a patient who had fallen off his motorbike at highspeed. There was a paramedic already on scene when our team arrived. The patient was in shock: BP 95/60, 130bpm, RR 28, 87% on room air, GCS 15. Here’s a brief outline of what we did and why! 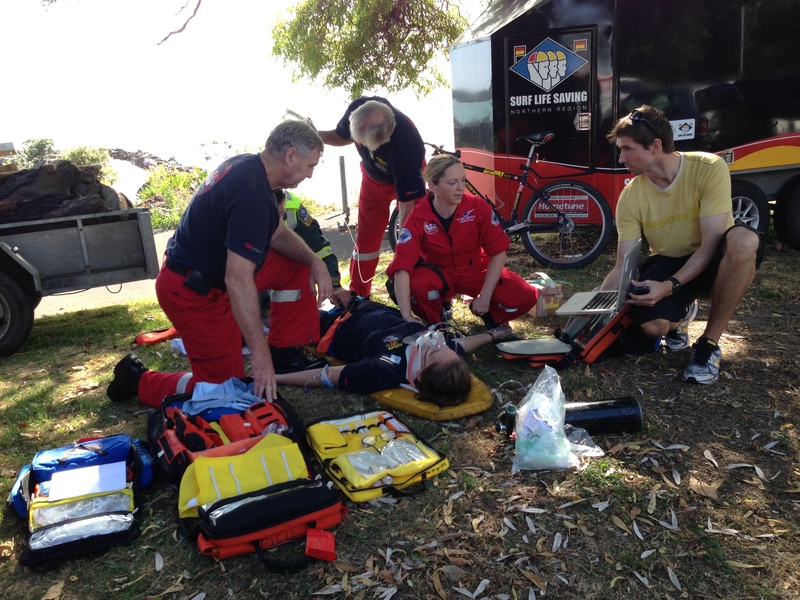 In-situ simulation: Make the most of the availability of your team. On the job training during a work day is a great way of maximizing educational opportunities. It doesn’t require that people come in on their day off and they still get paid while at work except their learning. We don’t use any expensive simulation centre – instead only using our training packs and equipment we were able to run this scenario at NO COST! Mid way through a resus. We have all hands on deck, even getting our cameraman Matt to hold the IV! Live patient actor: in scenarios that don’t require intubation this is especially powerful since we were able to capture our team’s ability to communicate with a live patient. Our patient had multiple traumatic injuries that was causing considerable pain. The team used managed the pain with ketamine and small doses of fentanyl. It was especially helpful to have a live patient since participants would receive real-time feedback if their pain regimen was working. Having a live patient actor is a great asset and can add extra fidelity to the scenario. Definitely alters the way clinicians approach and speak with the patient. SimMon: I highly recommend this for anyone interested in doing in-situ simulation. Using an iPad and an iPhone, linked by Bluetooth (no Wifi needed) we are able to have a patient monitor with fully adjustable and modifiable vital signs! I have no relationship with the company that makes the app but we use it regularly and it’s must have for any educator running in-situ simulation. Available for download for less than $20NZD. 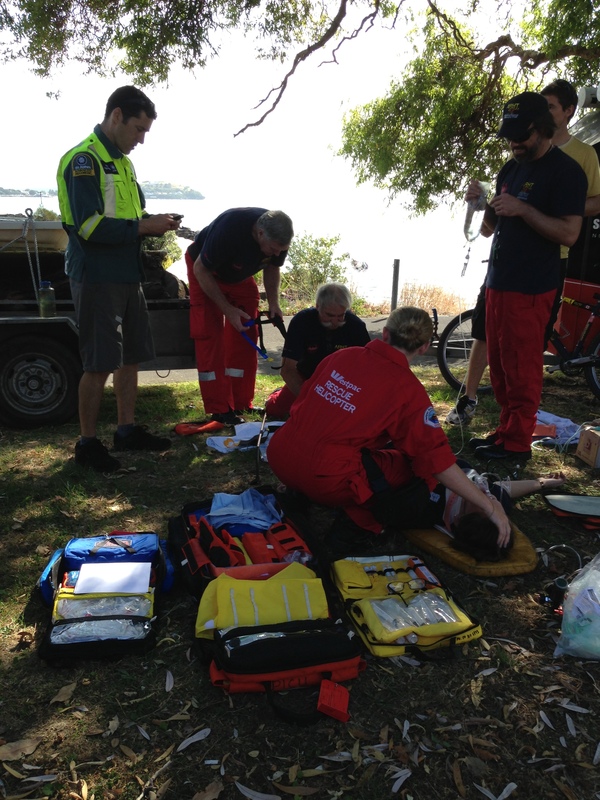 Ultrasound images for eFAST: Our doctor (Alana) performed a pre-hospital FAST and lung ultrasound. We had images and video downloaded ahead of time on a computer to show her the findings. This provided more realistic visual feedback that closely mimics a real clinical setting. Integration of new medication: We are in the process of integrating a Tranexamic Acid protocol for trauma patients with suspected hemorrhage. This was our first time trialling the medication in a simulation setting. Great discussion around timing and especially helpful for our clinical team that we have clear guidelines when it can be administered. Observation/Feedback by an industrial engineer: Tammy Bryan, is an industrial engineer from Auckland District Health Board, who joined us to observe our work with an interest in the ergonomics of scene set up. This was useful for a current state analysis and the beginning to work towards any changes that can make us more efficient!